This indicator can be a handy tool if you mostly trades from naked charts but sometimes need a quick look at the moving averages. 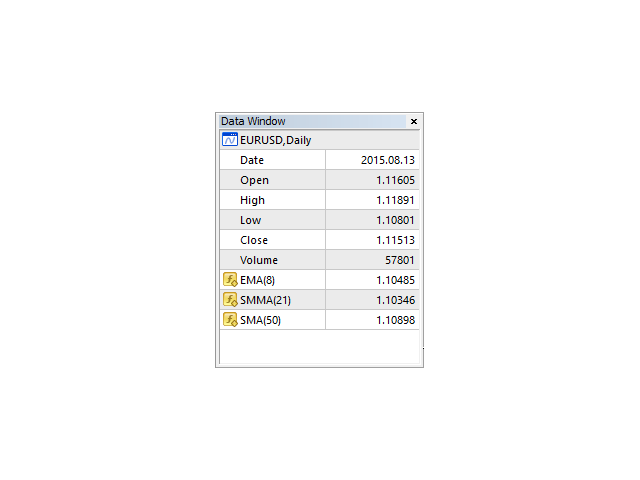 You can add up to three separate moving averages that can be easily shown or hidden by a single click of a button. The button can be placed in any corner of the chart with a text of your choice. You can also specify the x and y distance from that corner. The following input parameters can be set. 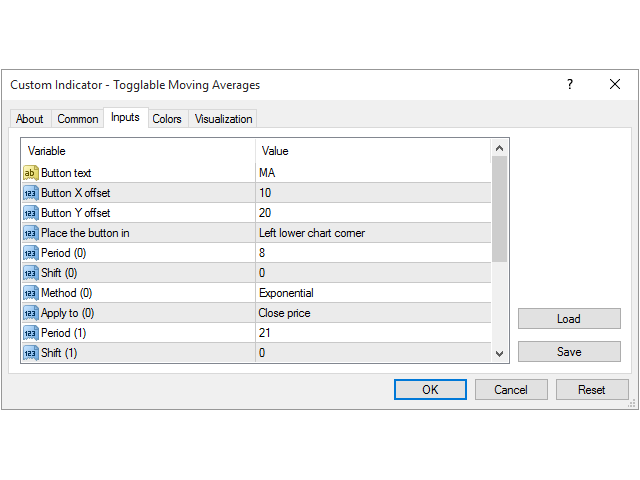 Set the period to 0 if you want to disable a moving average.